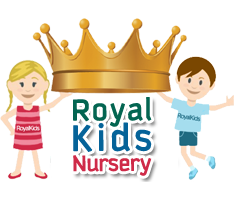 Royal Kids Nursery welcomes applications from children of all nationalities. We accept children from 2 months to 4 years old. We encourage prospective parents and children to tour our nursery. Parents seeking admission for their child are encouraged to apply early due to space constraints. Siblings of currently enrolled children have priority for available spots. The academic year at Royal Kids Nursery is divided into three terms. We have a rolling admission process which means that we accept applicants throughout the year as long as space is available. Please note that a space cannot be guaranteed until the application packet is submitted and processed. ADMISSION APPLICATION, TUITION FEES AND ENROLLMENT INFORMATION. Copy of child’s passport with a valid residence visa. Copy of father’s passport with a valid residence visa. Copy of mother’s passport with valid residence visa. Two color photos of your child. Copy of Qatar ID card.